Here at Southampton, we have 11 Halls of Residence, and 12 Halls Committees (to make sure all of you in private accommodation are represented), all situated near lots of local amenities to give you a memorable first year. Check out this handy fact file for whichever hall you’re in! Archers is a small halls, situated on, you guessed it, Archers Road, just outside the city centre, so getting into town is very easy. Rooms are self-catered and en suite, and undergraduates can be placed in either Romero or Gately blocks. These halls are renowned for how friendly everyone becomes in them, being a small halls people quickly begin to know each other and often stick together throughout university. Bencraft is another small halls, this time situated just a bit further beyond Glen Eyre, but easily accessible by bus. Rooms are non en-suite, and there are just over 200 single rooms here, making this a tight-knit halls. Chamberlain halls feature as part of the Glen Eyre complex and have their own launderette and use of Glen Eyre facilities, which is just over the road. Chamberlain have largely en suite rooms, whilst there are convenience stores just a five minute walk away. Past residents of Chamberlain have gone on to become well known members of the student community, including a former Halls Officer, a Wessex Scene editor and sabbatical officers. Connaught are a small halls that make up part of the Wessex Lane complex, situated a 10 minute bus ride away, near all the amenities of Portswood. The halls are largely non en suite but they are catered, so your food will be largely covered. Connaught are renowned for their Connaught Rangers – the sports teams that are often the loudest and among the best intramural teams, and being a small halls, they always get a lot of support. Erasmus Park are the halls dedicated for students at the Winchester School of Art (WSA), situated among the beauty of Winchester with just a small walk to uni. The rooms are self-catered and en suite, and there is a 24 hour supermarket just over the road from them. Erasmus Park halls are usually only given to first year students. Not only that, but approximately 50% of students at WSA are international students. Gateway halls are the newest halls for Southampton students, and are situated just a 10 minute bus ride away, just down the road from the Wessex Lane Complex. These rooms are en-suites but there are also options for private flats here. Gateway are the most noticeable halls, and you’re likely to see the Gateway tower as you first enter Southampton! Glen Eyre are the largest halls in Southampton, and have well over 1000 rooms there having a variety of en suites and non en suites. Glen Eyre is situated just a short walk from Highfield Campus, and has its own laundrette, and convenience stores and takeaways are just a short walk away. Glen, as its known, has its own hall where ballroom dancing lessons take place, and is used for exams in the exam period. It also has a well-stocked bar. 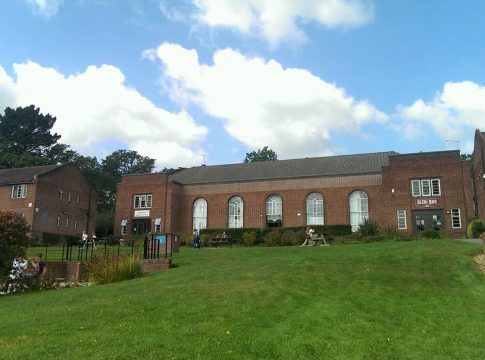 Highfield are a very small halls, situated right between Highfield Campus and Avenue Campus, so perfect for getting to those early morning lectures. These are a catered halls, and are set in some beautiful surroundings. You may have seen these halls on a tour, as they are often used for tours. These halls are very popular among humanities students due to their proximity to Avenue Campus, however, these halls are also used for conferences over Easter, and so you’ll be required to move out over this period. Liberty Point are situated near the St Mary’s district, just by the City Centre, and feature a range of rooms. These halls have recently had improvement works done, so you can expect the area and rooms to be looking nice. The view from the top floor is said to be among one of the best cityscapes in the town. These halls are situated right in the centre city, with all the amenities of the city on on your doorstop. These are a very large halls, and as a result have a variety of rooms available, and are very popular with students that study at the NOC. These halls are named for a reason, they are right next to the Mayflower Theatre, so you’ve no excuse to get a bit of culture in your stay here! These, alongside Connaught, make up the Wessex Lane Complex and offer a variety of rooms at very reasonable prices. Among the facilities Monte residents can use are a gym, bar and a laundrette, whilst shops and takeaways are just minutes away. Monte and Connaught are often touted to have a fierce rivalry, which often comes up during the intra mural season and during freshers! Private Rented are not a halls, rather, they are the conglomeration of all students who are not in halls! Portswood, Polygon and Swaythling are all popular areas for privately rented houses, and in each of these areas there are plenty of shops, takeaways and places to visit. Being in Private Rented is no disadvantage when it comes to the Union, as you can still access all events, and even have your own special timetable of events.